This week is simultaneously a very slow week in K-dramaland since there isn’t a new drama premiering, but also a very anxious week for the fans of The Master’s Sun which is wrapping up in mere hours. 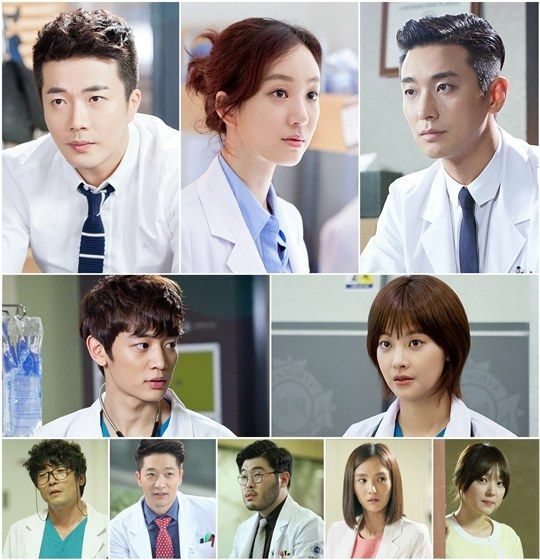 Two Weeks ended last week on MBC so its follow up drama the geniuses-in-one-hospital medical drama Medical Top Team was slated to premiere on October 2nd. But in a twist of executive decision, MBC has announced that it’s delayed MTT for one week – and one can only speculate if its to avoid the finale week of TMS or to take up the Heirs challenge and go head-to-head with that jam-packed high school drama. Either way, I like it. You gotta pick your poison and I think MBC has decided the unknown Heirs is a better bet than the current Wed-Thurs night ratings leader TMS. With that said, the cast of MTT held their press conference already last week, which hilariously means the delayed by a week broadcast decision was likely made at the very last minute. I worry a bit for MTT because now all the promotional material is out but audiences have to wait an extra week before it airs. The fresher the better is my approach, and the delay may end up leaving viewers aware of Heirs but forgetting about MTT. 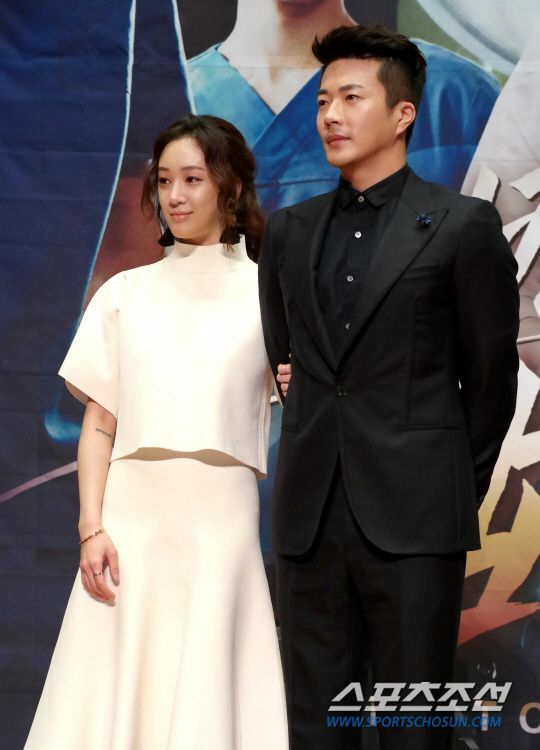 I thought the press conference was cute, with no one standing out in the fugly meter though leading lady Jung Ryeo Won predictably with her usual sartorial style came dressed in a very oddball outfit. 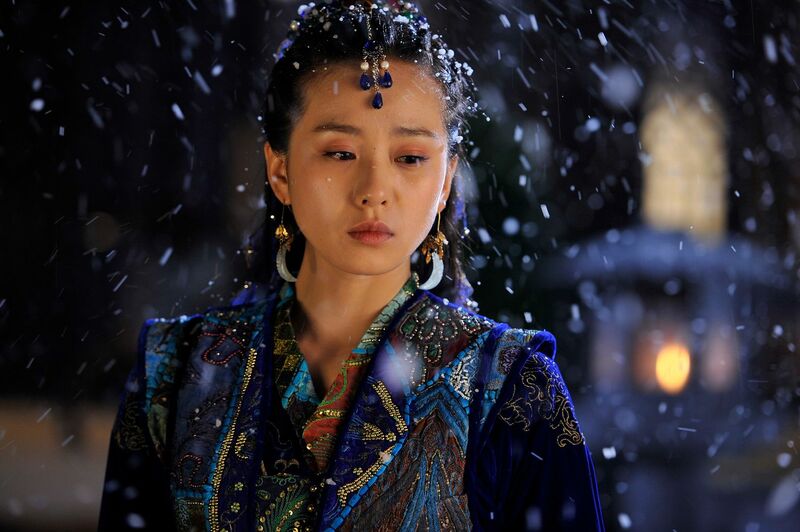 Her two leading men Joo Ji Hoon and Kwon Sang Woo were both quite dashing but soooo diametrically opposite to me. One is a buff beyond belief stud muffin type, the other an introspective lanky reserved type. When I watched the long preview and heard them both speaking, I was guffawing because I realized that both are two of the softest spoken leading men in Korean entertainment. Don’t believe me, go listen for yourselves. Kwon Sang Woo’s voice is one of the oddest components of his entire package, it’s soft and gentle with a slight lisp that I actually find quite endearing. Joo Ji Hoon has a very soft delivery paired with an average timbre so in general his line readings never make an impact with me. He acts with his eyes and lips, not with his words. I think MTT is going to be one of those fast paced multiple cases an episode type of ensemble dramas. Right now Good Doctor is the ratings leader for KBS on Mon-Tues but a pack of Clydesdales with a year’s supply of six-packs can’t drag me to watch it. Yunno, my allergy thingie. It’s actually been a long time since I really got hooked on a medical procedural and this one looks as likely to interest me as anything that has come out in recent years since OB/GYN. 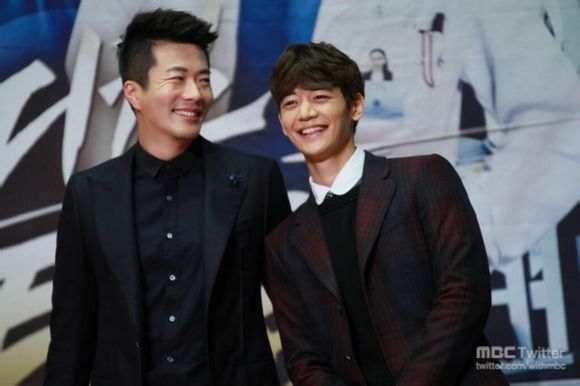 I like the cast, even the stiff Min Ho has his earnest charms, and the idea of a group of genius doctors assembled together has the potential for really complex medical cases for everyone to solve. Of course, I could get totally hooked on Heirs and have no time for MTT, but for now I’m rooting for both dramas to own their respective niches and give each other a run for the money. I actually think for the domestic Korean audiences, Kwon Sang Woo brings all the ahjummas to the yard. 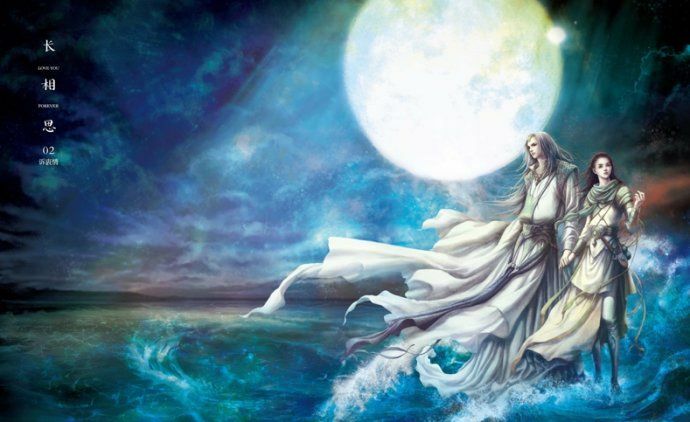 The production team actually has a great track record – the PD did The Moon Embraces the Sun while the screenwriter did Brain and God of Study. Check out the press conference pics and previews below. is that a tattoo on jung ryeowon’s arm? anyway will be looking out for this cos JRW won me over last year with 2 winning roles. 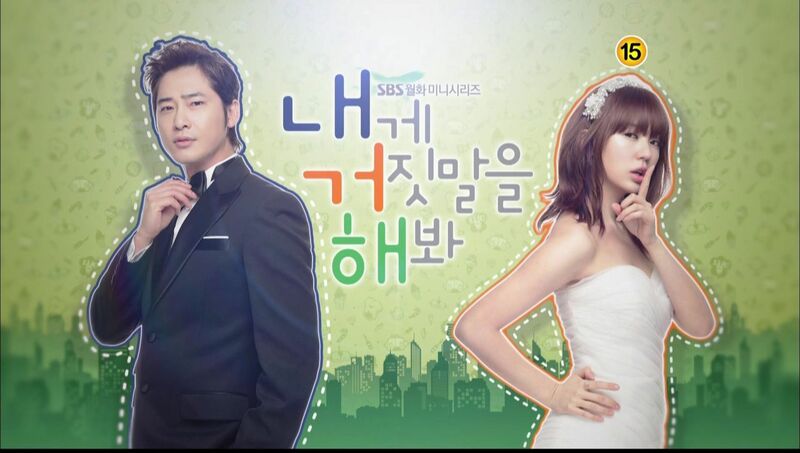 im kinda rooting for this over heirs though because all the attention is already on that show. This is going to be my Heirs antidote. When I have had it with all the kids, the no-doubt intrusive OST, and the hype, I am going to watch this show for awhile; yunno, a drama where I might actually exercise a few brain cells. Maybe. Right now, I’m still trying to wrap my brain around the hearts-and-arrows(?) pattern on JJH’s shirt. I still think this sounds so much like Iryu team medical dragon jdorama that aired a while back. Genius surgeon gets together a ragtag of doctors that are of course the best in their expertise. JJH, that hair even though it has grown on me. Hopefully his next project will be more interesting. I love KSW’s lisp. I discovered it/noticed it when I was watching Bad Love, and when I watched interviews with KSW about Bad Love. I think it is part of his charm. 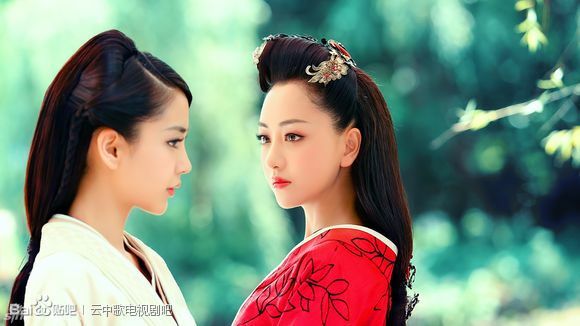 I am curious about this drama, but I don’t know if I will be able to watch it right away. I m used to watvhing minho as some of the tall guys among the idols but wait he looks short here compared to the two leads …minho stands out from the rest of the idols cz he is tall but this is aa first for me . Watch now ‘Suspicious Housekeeper’ for Choi Ji Woo. Why the ridicoulous hair JJH? Seriously, why? You have a hairstyle that suits perfectly well. I wouldn’t really be bothered about this shirt if the hair was not this, this…. As for the voices, I recently realised that they are an important factor in my liking an actor. Actors like JGS and LSG I LOVE mainly because their speaking voices are so good. JJH’s speaking voice also appeals to me. KSW is not my type (neither as a man nor as an actor, nor as a voice). Totally agree with you… You can say that again… To me an actor’s voice is part of their acting. 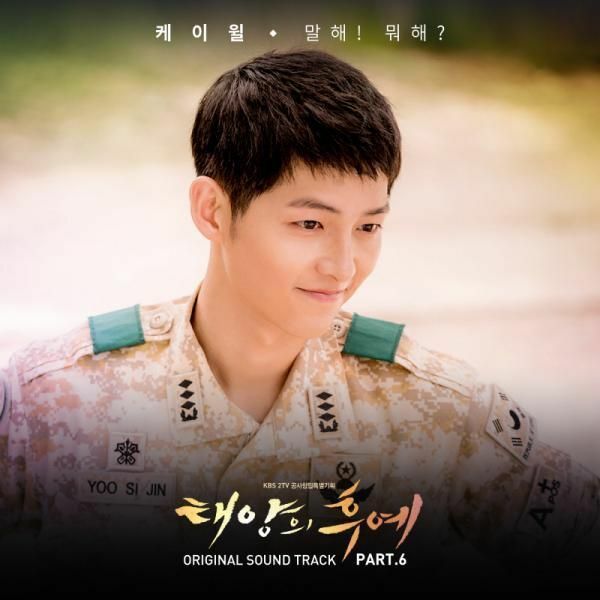 When one is blessed with a nice voice, as in Jang Geun Seok, Lee Min Ho, Ariel Lin, George Hu, etc. and their voices become recognizable, it makes the whole package of enjoying watching that actor in addition to looking good. I’ve got to say I am quite excited by this drama. I kind of lost interest in Good Doctor (the whole medical politic or whatever thing bored me to death whereas I do love politic). I love you and your ahjumma-milkshake reference. I always have soft spot for medical drama. The intelligence and adrenalin rush while watching is priceless. I am a big fan of grey’s anatomy. medical k drama that i’ve watched was Brain. I really love lead actor and the storyline was different from typical KDrama. It has been a while this i watch JJH. I still can’t shed his image as Prince Shin. 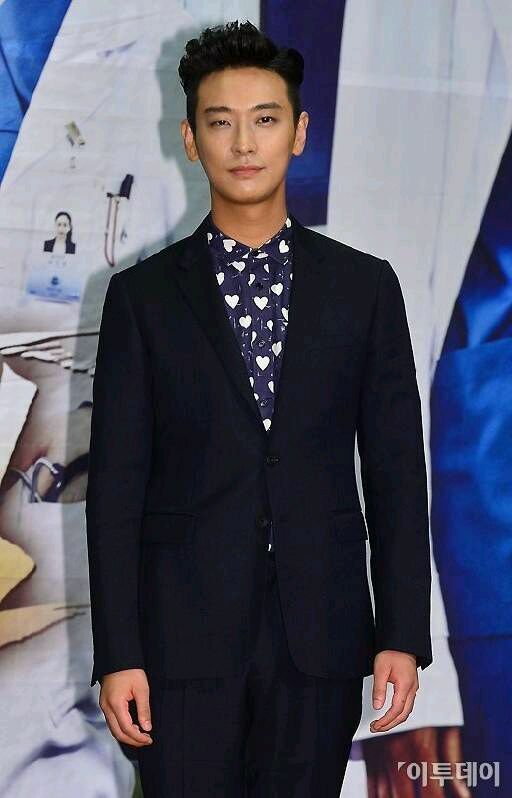 Joo Ji Hoon has an interesting heart print shirt on. I don’t think it was such a bright idea to delay the premiere. Even if “Heirs” ends up an epic fail, it’s still going to land some amazing ratings. But I hope MTT proves me wrong. Heirs is going to be a behemoth that crushes everything else underfoot, regardless of its quality. I was just hoping for an idol-free drama, but that appears to be an impossibility these days. 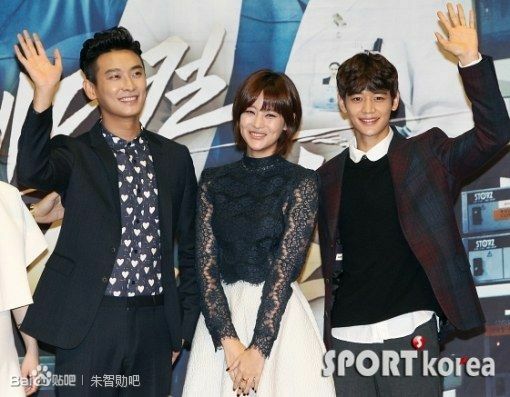 Can I just say that MinHo is in the wrong drama? 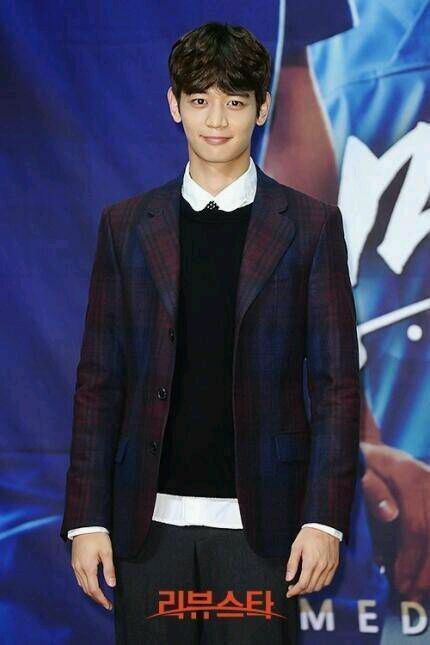 He looks more like a high-schooler than every other male in the Heirs cast except for maybe Kang lollipop. Also I think I spotted the horrible jerk husband from Ooh LaLa Spouses, typecast as another jerk. I think its a good tactic to delay MTTs airing and have head-to-head toes w/ Heirs. Its like MBC is saying to viewers, bet MTT & Heirs, you choose bet Brain & Brainless, Veterans & Idols, Smart & Stupid, Sense & Senseless (respectively).Hahaha! Now we have to admit, there are really more Brainless viewers in town. For me, its just interesting and curious to see actors/actresses play as a Doctor, definitely the preparation for the role should be challenging. Just some thought! Kinda reminds me of Iryu?? I loved all 3 seasons.. I hope its not like that..I think I may end up watching Heirs instead of this one myself.. heart printed shirt.. um Okay? Good choice of wardrobe… haha. Joo Jin Ho has the whole package.Looks and talent.I wish him good luck and wiser choices in his life.